Before getting down to the solution, it is necessary for us to know something about MKV. MKV is one type of files of Matroska. As a new multimedia container format, Matroska allows unlimited videos, audios, pictures, and subtitle tracks in just one file. It is a universal format designed to store multimedia such as HD movies and TV shows. Many people mistake Matroska as MKV. Actually, MKV is just one of Matroska file formats. Here’re Martroska’s 3 types of files: MKV as video file, which may contain audios and subtitles; MKA as audio file, which may contain multiple audio tracks or audios of different types; MKS as subtitle file. If you’re an Android user, and eager to play those HD movies or TV shows on your Android devices such as an Android smart phone or an Android tablet, the best solution is Pavtube MKV to Android Converter – an all powerful video converter able to perform excellent backup, ripping and conversion of various DVD/Blu-ray/Video sources to any possible audio/video format you can imagine. 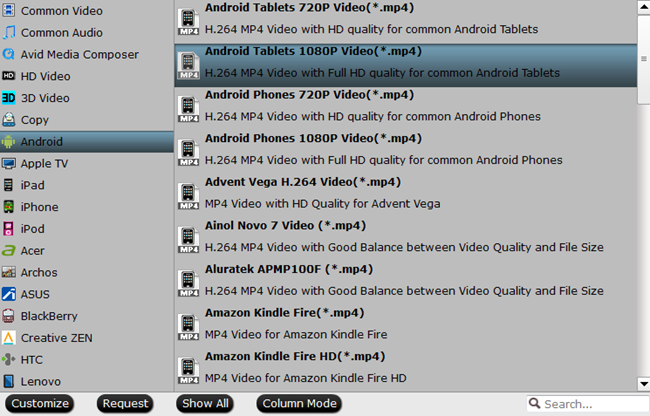 And here we need to convert H.264 MKV to HD MP4, for almost every device can support MP4 playback. How to convert H.264 MKV videos to HD MP4 for effortless video enjoyment on your Android device? 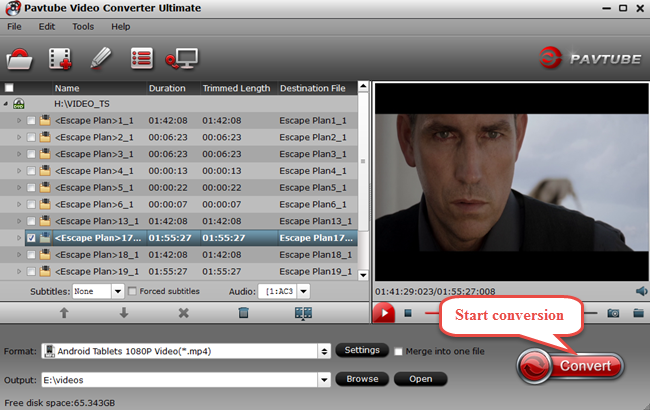 Run Pavtube Video Converter Ultimate, and click “File” and “Load from folder” to import your H.264 video. 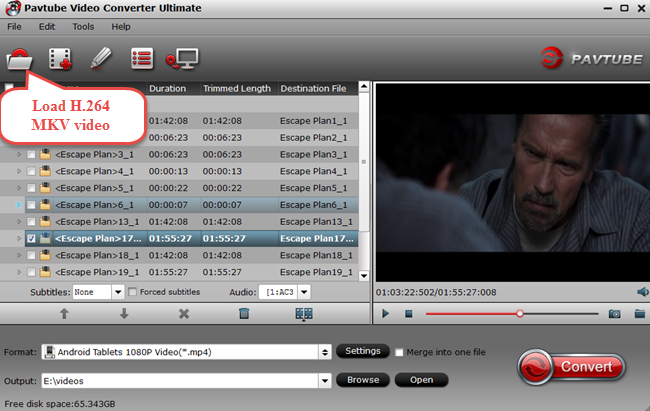 In addition to MKV videos, other sources like DVD discs/folders/IFO files/ISO Image files, Blu-ray discs/folders/ISO Image files, and those camcorder videos can also be supported by Pavtube Video Converter Ultimate. Click the format bar to choose target video format. If you want to get the same HD effect just like H.264 MKV, choose the target video format with high quality. Here we take “Android” ＞ “Android Tablets 1080P (*.mp4)” as example. Apart from Android devices, other fixed or portable devices are also supported. Please click the format bar to choose video format proper for your device. This is the final step to realize video conversion, and just one click of the red button of “Convert” on the main UI will make you have easy access to free video enjoyment. No more worries and no more headaches. Every problem about video incompatibility you may face is just a piece of cake, for Pavtube Video Converter Ultimate is powerful in function, and it is much more like a thoughtful helper in your daily life. Was researching for some time before finding your post. Very helpful. Maintain the nice writing.